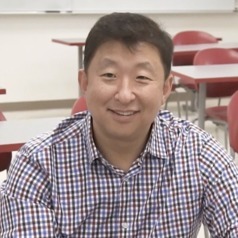 Samuel Song, Ph.D., NCSP, is an Associate Professor of School Psychology at the University of Nevada, Las Vegas. His research focuses on strategies that promote healthy school cultures and climates for all children including the "ecological minority." Current projects focus on preventing school bullying and reducing racial/ethnic discipline disparities through the implementation of restorative justice practices in three states across the country. Dr. Song seeks to advance this social justice mission in the field of school psychology and psychology broadly. He is active in his profession having held various leadership positions at the national level and been invited to present his work nationally and internationally. His notable forthcoming work includes his second book that will be published by the National Association of School Psychologists in 2018; and, an invited, keynote speaker address in New Zealand in 2017. He loves In-N-Out burger and talking to students who may be interested in pursuing careers in psychology, education, and school psychology.